Stay in a hotel in Bloomsbury and you’ll never be far from a tube station. Catch a tube on the Piccadilly Line at Russell Square and you can be amongst the neon lights of Piccadilly Circus, or getting off at Hyde Park Corner to relax in Hyde Park, in around 9 minutes. Even Knightsbridge Tube Station, which offers easy access to Harrods, is only 11 minutes away. If you travel from Euston Square (on the Hammersmith & City, Circle and Metropolitan lines) you can get to Westminster to see the huge Houses of Parliament and Big Ben in around 12 minutes, travel to Tower Hill to see the Tower of London in 16 minutes, or go shopping on High Street Kensington in just 17 minutes. Masses of other tube stations surround the area including Euston, Goodge Street, Warren Street, Tottenham Court Road, Holborn, Chancery Lane and Kings Cross St Pancras. If you’re going to take the plunge and drive into Bloomsbury you’ll need somewhere to park! Fortunately there are plenty of NCP car parks in the area that will be within easy reach of your hotel. 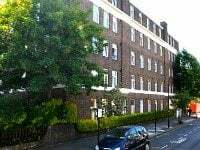 These include Russell Court underground car park on Coram Street and Brunswick Square underground car park on Marchmont Street. Taxis are another way to travel around London from Bloomsbury. If you spot a black cab, hail it! If not you can always walk to the offices of taxi companies that are dotted throughout the area. 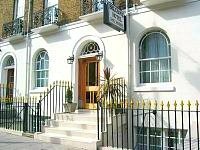 You will find Airport Cars on Southampton Row which is close to Russell Square Tube Station and Airport Station Cars based at Euston Train Station which is within easy reach of Euston Square Tube Station. As Bloomsbury is right in the heart of London you’ll be able to walk to masses of London’s top tourist attractions! If you start out at Bloomsbury’s most central tube station, Russell Square, you can get to Theatreland (London’s West End theatre district) in only 14 minutes. If you want to experience the lively nightlife of Soho, the tasty Chinese cuisine of Chinatown, the beautiful works of art displayed in the National Gallery, or the vibrant nature of colourful Covent Garden Market, it will only take you 20 minutes to stroll to these. The likes of Camden Market, massive Regents Park and the famous wax works museum Madame Tussauds are only 30 minutes away too! If you fancy heading slightly further afield you can take a 35 minute amble to London Zoo, or the trendy bars of Upper Street in nearby Islington.